What do I need to get into Oxford or Cambridge? - Which? Thinking about applying to Oxford or Cambridge? You have to stand out against the fierce competition; but does that mean having a clean sweep of A*s and As at GCSE and A-level? In short, not necessarily. You’ll come across Oxbridge students who don’t (but don’t be shocked to meet quite a few who do). Yes, your grades will need to really dazzle. GCSEs are seen as evidence of work ethic – and you need a really strong one of those to cope with studying at Oxford or Cambridge. Our ‘guesstimate’ is that the average successful applicant has around eight A* GCSEs – or 8/9 grades under the new system – under their belt. Don’t have top GCSE grades? You might still have a chance – find out more with our helpful guide to the importance of your GCSE results. And of course you need the A-level grades that Oxford and Cambridge ask for, for a given course – search for a course to see what these are exactly, as there can be some extra requirements or conditions. Our guide to the real story behind entry requirements sheds some light on what these are. As per recent changes to A-levels, these are the grades you achieve in your final exams at the end of Year 13 (but you’ll apply with predicted grades based on your Year 12 performance). So expect for these to be scrutinised alongside your GCSE grades, plus any admissions tests the university requires you to take – more on this below. Simply following the syllabus in Years 12 and 13 and doing the minimum your teacher requires won’t cut it for Oxbridge candidates. have more relevant information to talk about on your personal statement. be able to talk widely around a subject during an interview. and be more prepared for the pace of reading expected of you at university. Not sure what to study? Browse our subject guides for inspiration. Think of your Oxbridge interview as being a bit like an exam, but out loud. This will be an intellectual interrogation, although it should be a friendly one! The key is in your preparation! Get a teacher, careers adviser or even a friend to do a mock interview with you. 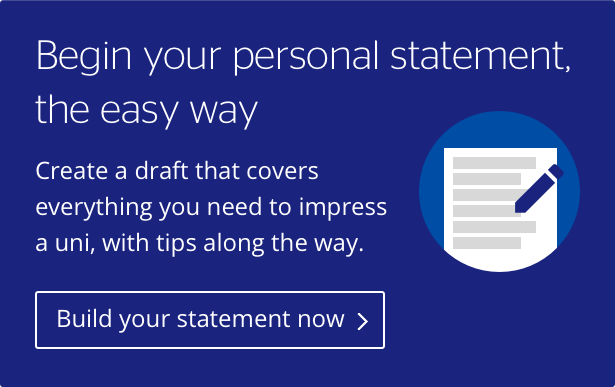 Re-read what you said in your personal statement – your interview may be based on what you wrote. Like personal statements, interviews for Oxbridge are an opportunity for an admissions tutor to see how you think and respond to a question or discussion, rather than your interest in the subject or the experience you’ve accumulated (not that this isn’t important, as you’ll see below). In this way, interviews (and personal statements) are slightly more ‘academic’ in nature, than if you were applying to a non-Oxbridge university. Budding scientists and mathematicians should expect to work out questions on paper or using a whiteboard. Do you find yourself talking and reading endlessly about your subject and other related fields? It really will help if you have – and can express – passion and interest for the course you’re applying for, backed up by examples that demonstrate this. Don’t afraid to be critical about what you did or didn’t like about a book, talk or exhibition, provided you give valid examples or reasons. Oxford has a wide range of timed, written pre-entry tests to help them choose from the competition. The exams are designed to show how you think and solve questions that you might not have encountered before. Not all degrees require you to take one, but medical, law, maths, languages, English and engineering will do. Most potential Cambridge students are required to take subject-specific tests. These assessments require no extra preparation as they are set to test your current level of knowledge and provide ‘valuable additional evidence of our applicants' academic abilities, knowledge base and potential to succeed’.If you are applying for a maths, medical or law course, you will have another set of pre-exams to take. Check out our full Oxbridge application section, covering everything from Oxbridge application myths to outreach programmes and summer residentials you could attend.